Flash Mob at Hilton Hotel Universal Studios! On January 11, 2019, I assisted one of my friend's events at the Hilton Universal Hotel for a 600-person event. We had a full production and we were in charge of the entertainment aspect of the show. The event took place in the morning, so we were keeping everybody's spirits and energy up high. There were many activities going on such as virtual golf, a rock climbing area, photobooth, 4 different food stations, bars, and more! As for music goes, DJ Knuera/MC Evan held it down as the main DJ & MC and I assisted him as DJ when he led and danced with the crowd. We even had a flash mob as a surprise to kick off the morning! Then throughout the event, we had people dancing from all backgrounds. We played some Latin, Indian, Top 40, 80s and Hip Hop to name a few. The event was a success and super fun to be a part of! Also, special shout out to James at Vertigo Sound & Entertainment for the awesome DJ setup! Thanks, Evan/DJ Knuera for bringing me on board for your event! I went to NAMM 2019 in Anaheim, California and stopped by at the Ultimate Ears booth. They offered free demos of their Ultimate Ears in-ear monitors and got to listen to some of the high-end models. I enjoyed the UE 11 Pro the most and they are also designed for Drummers, Bass Players, and DJs. I got my ears scanned for free at the booth and decided to get mine even branded with my logo. They offer to ship it to you or you can pick it up at their headquarters. I decided to pick it up at the headquarters in Irvine. Chris at UE HQ was helpful and showed me how to put the in-ears on. He also gave me a quick tour of the lab and showed me a bit behind the scenes. On January 4, 2019, I had the pleasure to DJ and host Janet & Josef's fun wedding at the Canyon Lake Lighthouse! This video captures some fun highlights from their event, my song selections and some sample DJ mix transitions! 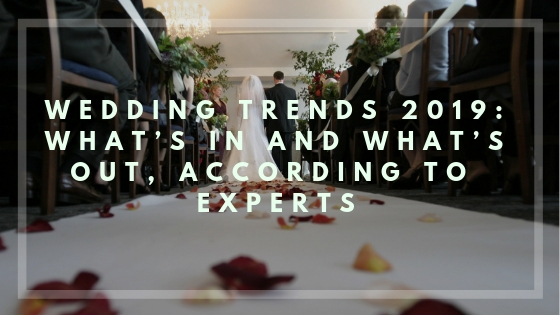 Choosing the music for a wedding is different for every couple. And not all DJs are created equal but you can structure your wedding playlist in a way that makes your wedding flow smoothly. To get the most out of your wedding DJ, here are some tips to help you set things up so that you can relax and enjoy the music you want to hear on your big day! When your couple are the stars of their wedding! Had the pleasure DJing and hosting Carly & Harry's fun wedding at Mon Amour Banquet in Anaheim, CA! This video captures some amazing times that night. Carly and I have worked together at 2 previous weddings when she was coordinating and I was the DJ. Now it was her turn to have her love story told and celebrated with her friends and family. 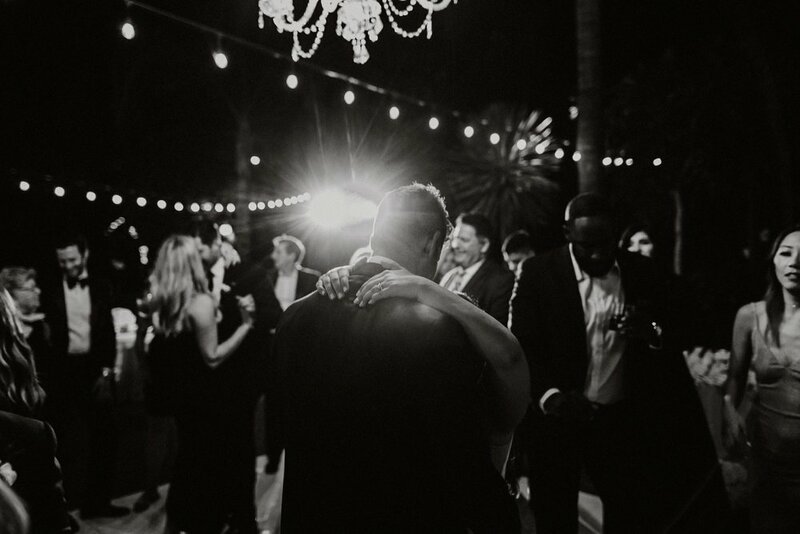 On December 21, 2019, we held Carly & Harry's celebration at Mon Amour Banquet in Anaheim, California. The venue was great at accommodating all 220 guests for their cocktail and reception. We kicked things off with an energetic grand entrance which set the tone for the night. We then had their first dance, family introductions, champagne toast, delicious dinner, parents dances, toasts, table visits, Joe's Italian Ice (btw, best shaved ice ever! ), cake cutting, then we had their special surprise wedding party dance! The special dance kicked off the party which we jumped into a group photo, then some traditional Khmer/Cambodian dances. After that, it was party mode for the rest of the night! That evening I was placed on stage to set the vibe and energy of the night. When I played some EDM towards the end of the night, we had Carly and Harry up on the stage with their friends jumping and cheering for them. We made Carly & Harry the stars of the night. Overall, this was an absolutely fun wedding and Carly & Harry had an amazing time. Thank you for having me as your DJ! Check out the team below! Colony House Wedding for Dean & Josephine! In this video, I capture some fun highlights from Dean and Josephine's wedding at the Colony House in Anaheim! I wish I had more time to record myself, but I was busy working! Let me know what else you would like me to cover in future videos! Enjoy! 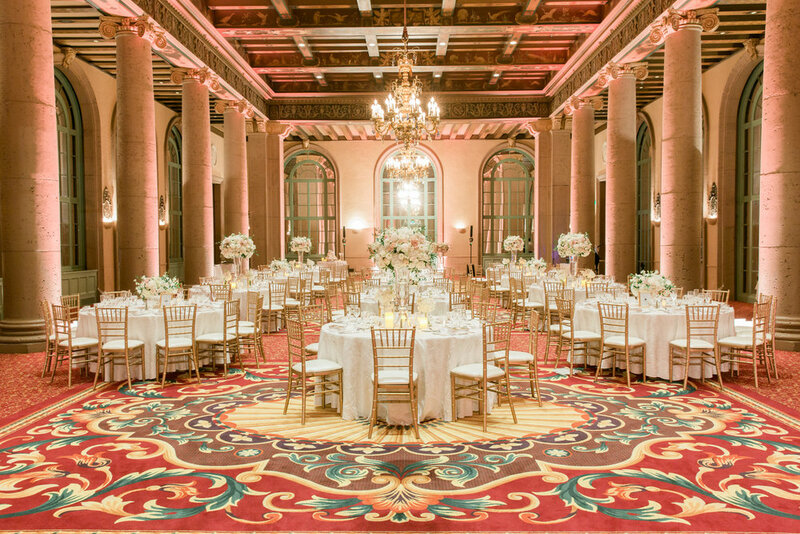 We held their wedding ceremony inside using the venue's speaker setup! Afterward, people enjoyed the cocktail hour at the patio and upstairs area while we transformed the space for the dinner reception. For the reception, we hyped up the bridal party for the grand entrance, led the night's formalities, enjoyed the food, and danced the night away! I love their music selection as some songs were remixes and covers from today's popular hits. At the venue, we even used their built-in dance floor lights! They recently added some controls for the lights so with a touch of a button, the DJ can set the mood for the evening when it's time to dance. This was a fun wedding with their family and friends! Thanks, Jo and Dean, for having me! This video captures some highlights from Megan & Kyle's wedding at the Spanish Hills Country Club in Camarillo, CA. 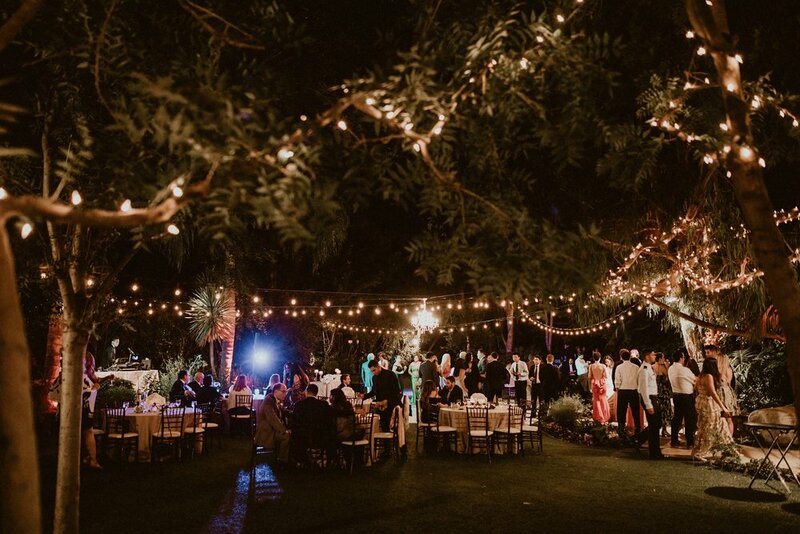 Twin Oaks House & Garden Estate Wedding | Club-style DJ! On September 27, 2018, I had the pleasure to DJ and host Linda and Craig's wedding. That day marked their 10th year anniversary being together and we made it a celebration! As a preferred vendor at Twin Oaks House & Garden Estate, I took care of their ceremony, cocktail hour, and reception. Although the day landed on a Thursday, we made it feel like it was a Saturday! The day was full of surprises and fun, unforgettable moments that majority of the people stayed.. on a weekday night! That evening I played a mixture of Top 40, Hip Hop, Classics, Soca, and EDM! I loved how they had me in the middle of the room so I have more control of the dance floor. We collaborated together for the surprises and they raised the bar and set the tone of the night! Linda & Craig are such a fun couple to work with and have such great loving friends. It was a pleasure making their 10th year anniversary and 1st time as husband and wife an absolutely amazing time. DJ MOJOE is a professional party DJ serving Southern California and destination events. This video captures the fun surprises and energetic highlights from Linda & Craig's wedding at the Twin Oaks House & Garden Estate! On September 16, 2018, I had the pleasure to DJ and host Sarah and Mike's wedding at Hartley Botanica in Somis, CA. I was in charge of their ceremony, cocktail, and reception. 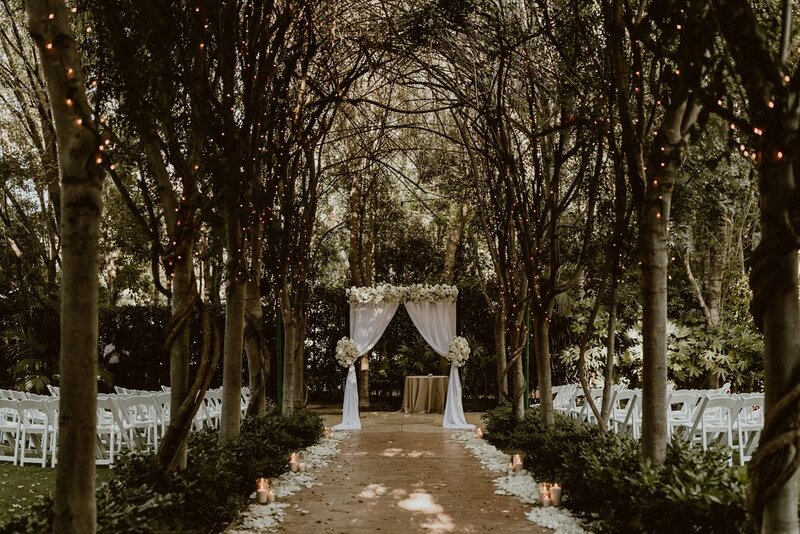 This was a beautiful outdoor wedding venue where the guests experience the natural and class of this place. We kicked things off with a grand entrance, first dance, and some dinner. We heard some toasts, witness the parent dances, and started to dance the night away! They were a fun crowd and I played a mixture of Top 40, Latin beats, Hip Hop, 70s, 80s, 90s, and 00s. What's amazing about this couple was that they met at a nightclub in Miami! We brought that vibe back in Southern California and created a fun dance party. Everybody had an amazing time. Thank you, Sarah & Mike, for having us! and my YouTube vlog from the wedding below! This video captures some fun highlights from Mary & Jay's wedding at the Knollwood Country Club! On September 8, 2018, I had the pleasure to DJ and host Mary and Jay's wedding at the Knollwood Country Club. As one of the preferred vendors at the venue, I can say that this is a great place to host an event. That evening, I was in charge of playing music during the cocktail hour and entertaining their guests during the reception. As for equipment goes, I used my RCF EVOX 8 speakers with my LED Moving Heads and ADJ Dotz Tpar for lighting. My couple also requested uplights and I set up 18 Ape Labs Maxi uplights around the room. All of my lights are synced to my lighting software SoundSwitch which really created a fun party vibe throughout the room. I was also able to connect my secondary laptop to the venue's in-house TV system, so I played their Proposal video on there, and when it's time to dance, I had my own background dance video that I play. For the reception itself, we kicked things off with a fun grand entrance. Then we heard a Jonny Z original song called "The Happiest Man" which he performed live for their First Dance. We went through the formalities such as the parent dances, bouquet and garter toss. There were a few things that really made this wedding popping. One, when it was time for them to do their cake cutting, I had the guests form a tunnel as Mary and Jay go under as they make their way to the cake table. This was spontaneous and was my first time doing this! It worked out really well because instead of guests leaving the dance floor, we had them involved for the cake cutting. Second, Jay and Mary had organized a dance-off and this was something that we discussed earlier during the planning stages. We pulled it off and the dancers showed off their amazing dance moves! For music, I played a mixture of everything that would get their guests dancing and they mainly left the music up to me. I played music such as Latin, group dances, 90s, 00s, and some EDM! Overall, this was such a great wedding and a super fun and sweet couple. It was a pleasure being their DJ and MC. I love EDM and this mix showcases my style in the EDM arena. This 30-minute mix is inspired by Hip Hop, Latin, Moombahton, and EDM influences. I made this mix in contribution to my friend's podcast Alienation Radio. Thanks, DJ Alb, for bringing me on board and being your guest DJ! My blog made it to one of the Top 15 Blog sites! I enjoy sharing my experience and knowledge to help DJs to grow in the industry and educate potential clients about our work as DJs. If I can see someone succeed, that makes me happy.